The 'mini' fad came and went, and these days we get quite a few 'Lite' smartphones that want to capitalize on the clout of the high-end devices that bear the same name. Xiaomi felt like doing practically the same thing this year, but using the Apple-inspired 'SE' moniker for the lowest-end model in its Mi 8 lineup. 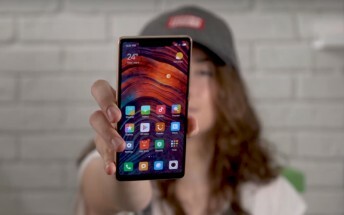 That's not to say that the Mi 8 SE doesn't bring a lot to the table - and for an affordable price, which is something most people have come to associate with Xiaomi. So what's our verdict on it? Well, our full written review goes into all of the minute details. If you don't have a lot of time here's our six-minute video review that touches upon the most important aspects of Xiaomi's mid-ranger. The phone has a very modern design with its notch above the great Super AMOLED display and the chin under it, as well as the vertically placed dual rear camera system. It's a very interesting handset because it's the first one to be powered by the still pretty new Snapdragon 710 SoC, which should start appearing inside more smartphones soon.